The building stands 515 feet (157 m) tall with 38 stories, and was completed in 1958. It stands as one of the finest examples of the functionalist aesthetic and a masterpiece of corporate modernism. 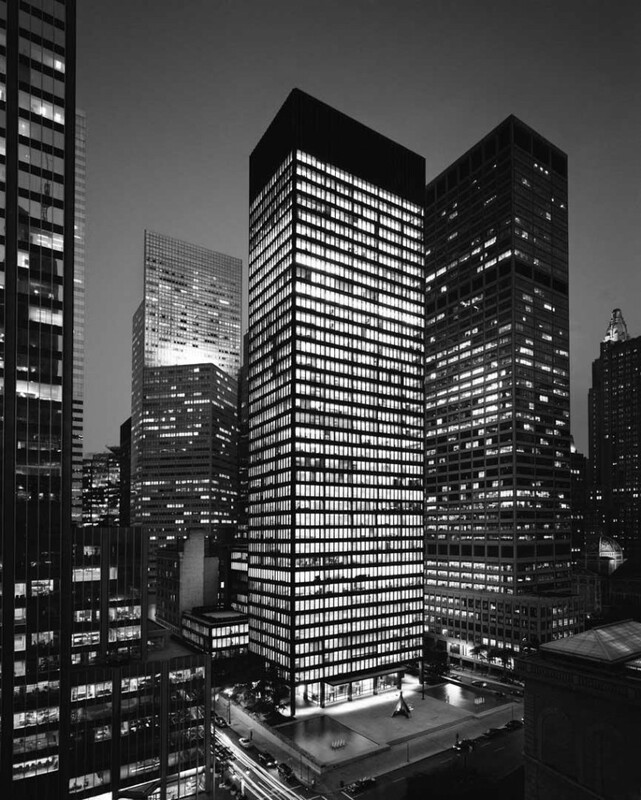 It was designed as the headquarters for the Canadian distillers Joseph E. Seagram’s & Sons with the active interest of Phyllis Lambert, the daughter of Samuel Bronfman, Seagram’s CEO. It has the worst Energy Star rating of any building in New York, at 3 out of 100.